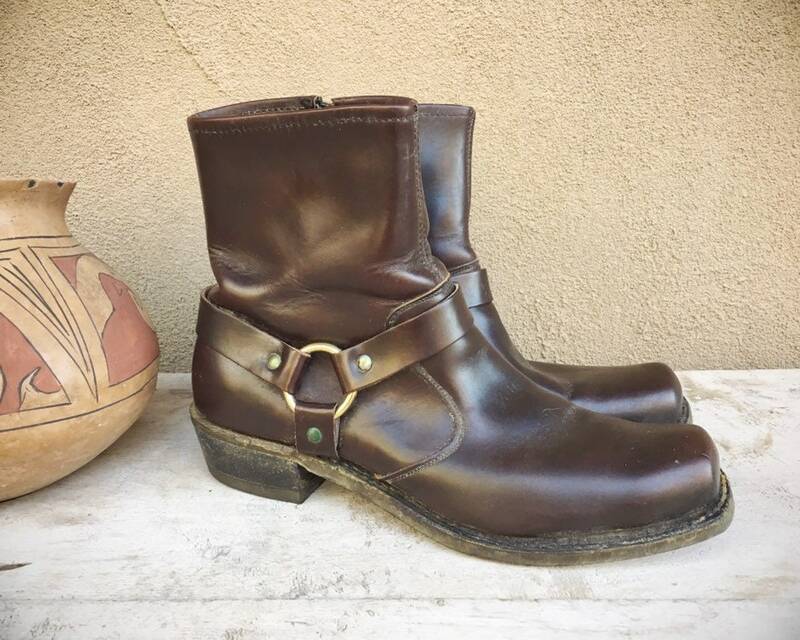 These deep brown leather short harness boots are fabulous, hardly worn, and likely from the late 1970s to early 1980s. 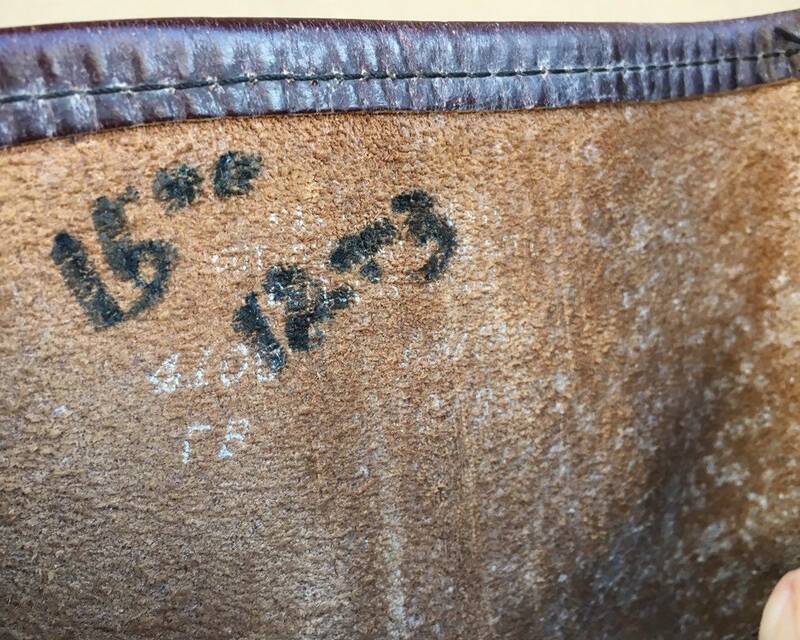 But there is no longer any indication of size, having faded or worn away over time. I am estimating them to be a US Men's 8.5 to 9, and a US Women's 9.5 to 10. 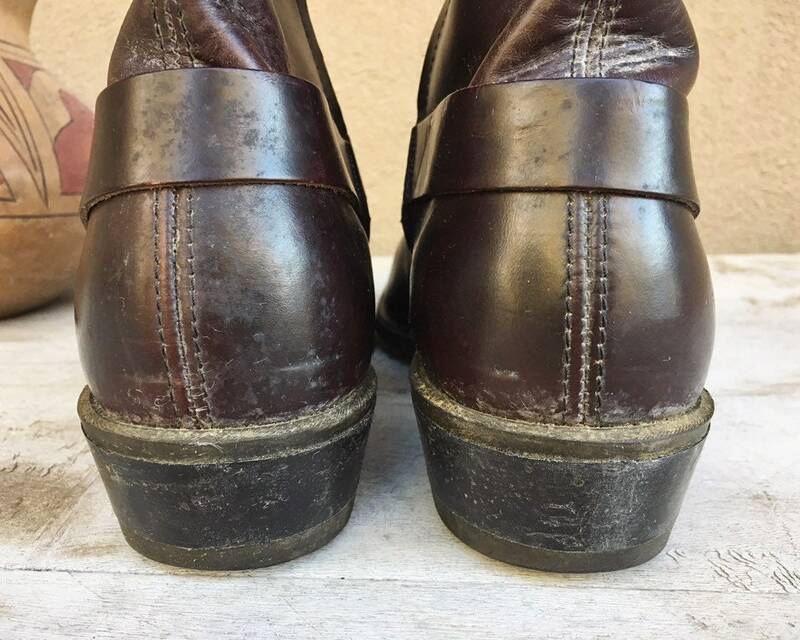 The rubber soles show very little sign of wear, and the leather uppers are also quite clean and somewhat stiff. 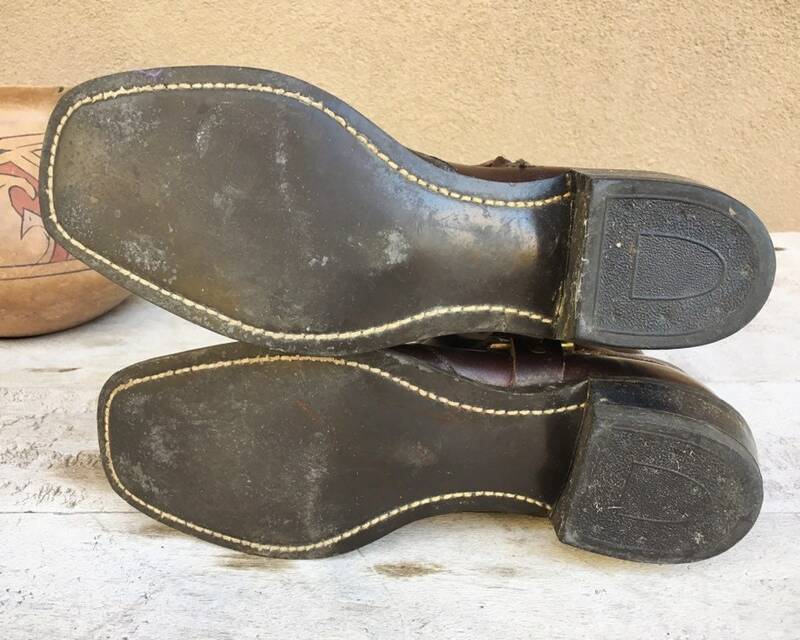 The leather insole has some curling up which you can feel when you place your foot into the boot. 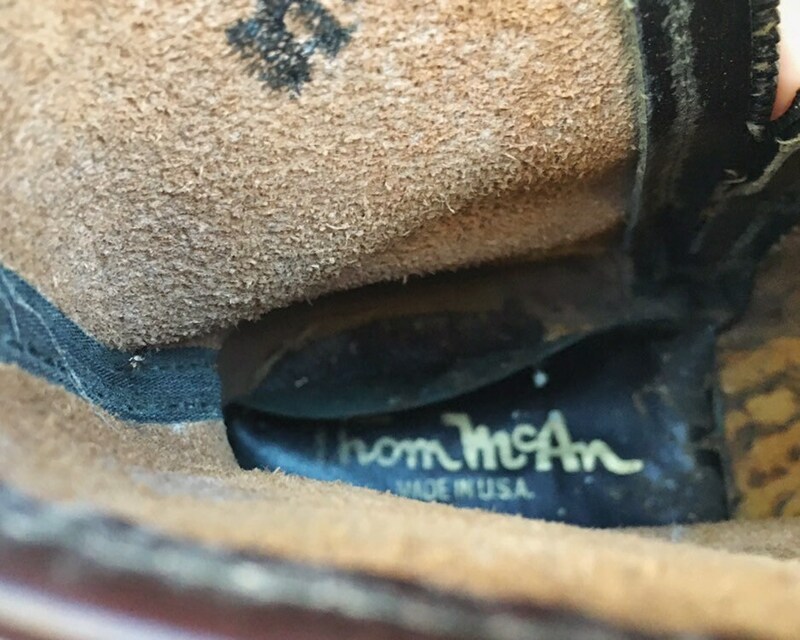 The brand is Thom McAn, which was a big brand in the 1970s and 1980s. The style is definitely from that era, and today is completely perfect, especially for men or women who have a bit of a vintage vibe to their look. 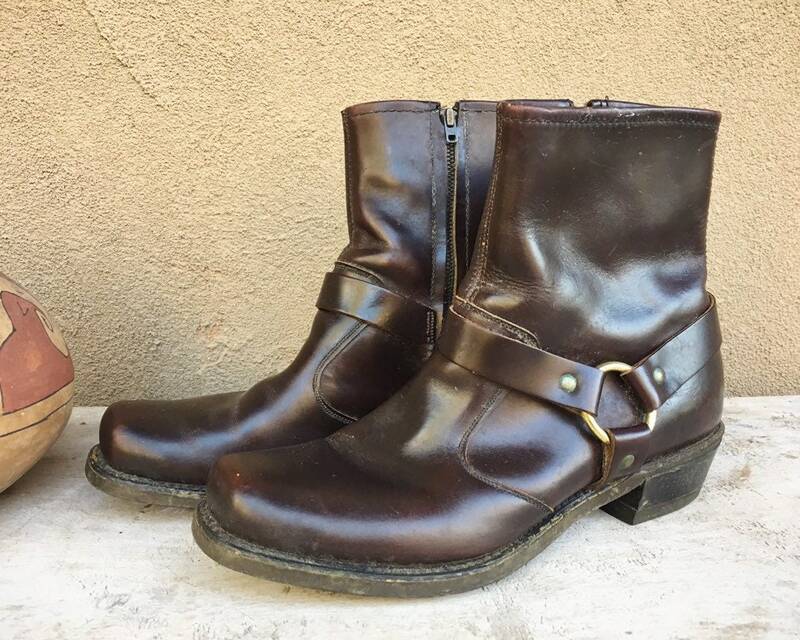 Hipster yet rugged, Made in USA--boots for an old soul. 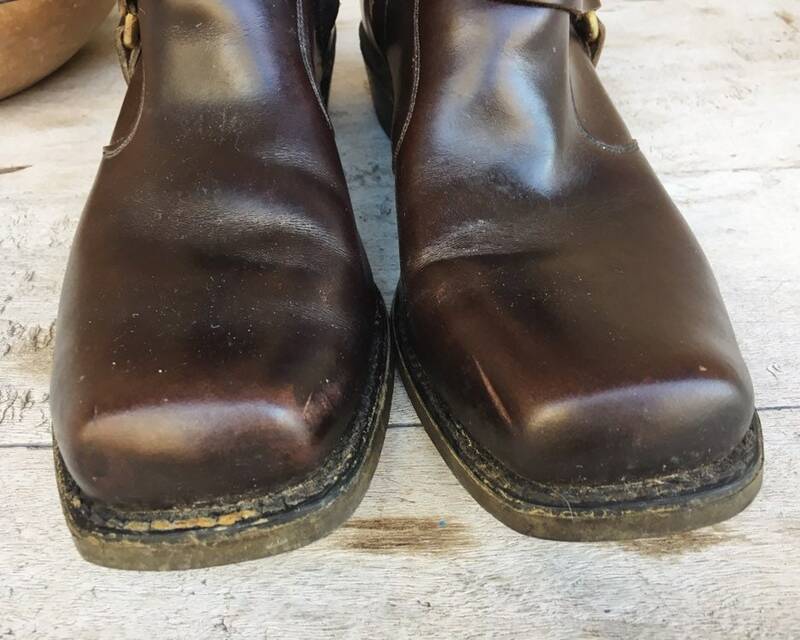 Shaft, down back from top of the heel (not ground) to the top of the leather upper: 6-1/2"
Side seam, from the top of the heel (not ground) to the top of the leather strap: 7"